March marks the beginning of tornado season in the United States, and it continues through June. The majority of tornados tend to occur during the months of May and June, but a tornado can happen during any month of the year if conditions are right. 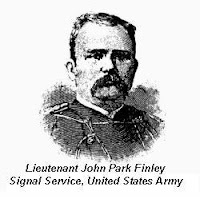 The study of early tornados began with John Park Finley, an officer of the Army Signal Office. Finley joined the Army’s weather forecasting office in 1877 with an interest in learning how to predict tornados. He believed that many lives could be saved if some type of warning system could be devised for area communities to use. Unfortunately, Army supervisors did not share Finley’s vision. Fearing that the term “tornado” would cause panic among the public, Finley was barred from using the word in his forecasts. In fact, no one reporting weather conditions was allowed to use “tornado” when reporting on these violent storm systems. Instead, an approaching twister was called a “severe local storm.” The ban on using tornado was in place from 1888 to 1950! Since there were no alarms raised before the storms struck, people did not know the storm included a funnel cloud, so they didn't seek shelter. This could explain why so many died and were injured by tornados during the first half of the 20th century. Finley’s book, Tornados, What They Are and How to Escape Them was published in 1888. In it, he explained what a tornado was and how it developed. Although a valued resource at the time, many of his safety guidelines are now considered dangerous. And calling them what they are - here are the five deadliest tornados of the 20th century. 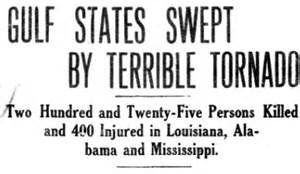 This destructive outbreak of tornados swept across 13 states during April 23, 24 and 25, 1908. At least 29 tornados were produced from this supercell thunderstorm outbreak, which affected parts of the Great Plains, Midwest and South. At least 324 deaths were recorded, most in rural areas, and 1,652 people were injured. Three tornados were responsible for the wide-spread damage which occurred along a path at least 265 miles long with the worst destruction from Louisiana to Mississippi to Alabama. The town of Purvis was one of the hardest hit; 143 of the town’s 150 homes were destroyed. Today, these tornados would be classified as F-4 with wind speeds estimated from 207 to 260 mph, creating devastating damage. *F-4 tornados occur about 1.1% of the time. This is the deadliest tornado outbreak recorded in U.S. history. According to NOAA (National Oceanic and Atmospheric Administration), this was actually one very wide and swiftly moving tornado, which resembled a rolling, boiling cloud on the ground. 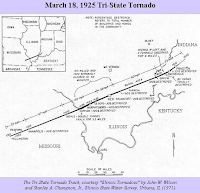 The tornado cut a path of 219 miles; the longest ever recorded in the world, across southeastern Missouri through southern Illinois and into southwestern Indiana. For 3.5 hours that Wednesday afternoon, the storm devastated nineteen communities in Missouri, Illinois and Indiana. 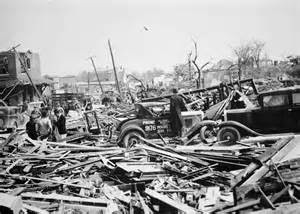 At least 695 people died and 2,027 were injured, the majority of them in southern Illinois where several towns were demolished. At least nine schools were destroyed and 72 students killed, more than any other tornado in U.S. history. Today, this storm would be classified as an F-5 with winds from 261 -318 mph and a damage swath of 3,600 ft. The likelihood of an *F-5 storm is less than 0.1%. 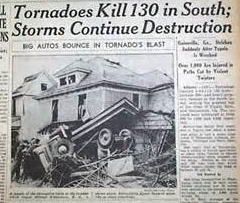 At least twelve tornados swept through the southeastern U.S. on Sunday, April 5 and Monday, April 6, 1936. 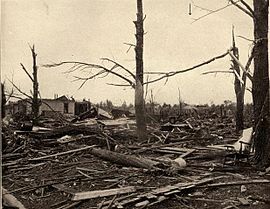 The town of Tupelo, Mississippi was struck by the fourth-deadliest tornado in U.S. history about 8:30 p.m. Reports indicated that 48 city blocks were leveled by the storm and numerous homes were swept into Gum Pond. At least 216 people were killed, another 700 injured. This storm would have been classified as an *F-5 tornado with wind speeds up to 318 mph; homes were lifted off foundations and carried considerable distances, trees debarked and residents reported pine needles stuck in the sides of tree trunks. The storm rolled through Alabama overnight, and a double tornado hit Gainesville, Georgia about 8:30 a.m. The downtown area was demolished. The Cooper Pants Factory was filled with 550 female employees who had just arrived to work when the tornado struck. The building collapsed and caught fire, killing 70 workers – the worst tornado-related death toll to occur from a single building in the U.S. It was estimated that 203 died, but the exact number was not known since numerous buildings simply collapsed and caught fire without any accurate numbers as to how many were inside. The Gainesville tornado was the 5th deadliest in the country’s history. Today, the tornado would be classified as an *F-4 with winds up to 260 mph, buildings and homes leveled, and vehicles thrown through the air. 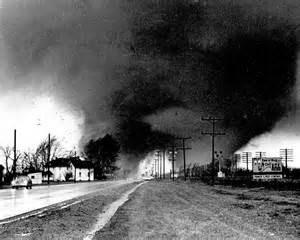 There have been three Palm Sunday tornado events during the 20th century, but the storms of April 11 and 12, 1965 were, by far, the most deadly. Forty-seven tornados – the second biggest outbreak of the century - swept through the Midwesten states of Illinois, Indiana, Iowa, Michigan, Ohio and Wisconsin. At least 256 people were killed and 3,402 were injured over the two-day event. 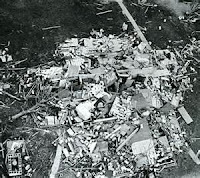 The outbreak was the second most violent ever recorded with 17 F-4 tornados reported. The Hoosier State was the hardest hit with 138 deaths and more than 1,200 injured. Reports indicated one tornado tore across lower Michigan’s Steuben and Monroe Counties, killing 44 and injuring another 612. In Indiana, a double tornado hit Goshen, Indiana leveling nearly 100 house trailers. 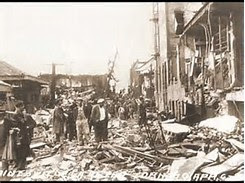 South Bend, Laporte, Lafayette, Kokomo, Russiaville, and Lebanon, Indiana suffered enormous damage. For the first time in the U.S. Weather Bureau’s history, all nine northern counties in the state were under a tornado warning at the same time! 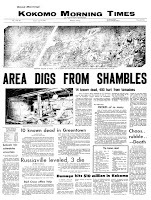 Entire blocks were leveled in Toledo, Ohio, and more than 40 people were killed in Strongsville, southwest of Cleveland. 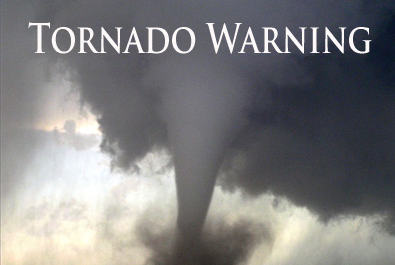 Officials reported the tornados cut a path about 450 miles from Michigan through Indiana. Many lives were lost due to a warning system that failed. 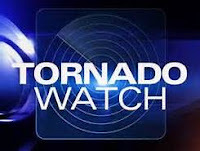 The public didn’t know the difference between a “forecast” and an “alert.” This series of storms led to the implementation of the “watch” and “warning” program that remains in effect today. 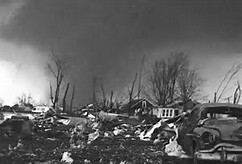 This weather event went down in the record books as the largest tornado outbreak for one 24-hour period for the century. 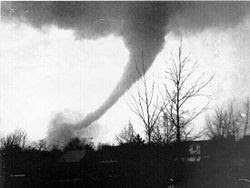 From Wednesday, April 3 to Thursday April 4, 1974, 148 confirmed tornados devastated 13 states and the Canadian province of Ontario. 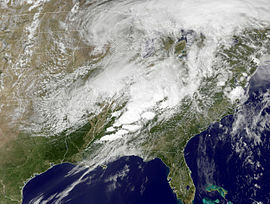 Tornados swept through Michigan, Illinois, Indiana, Ohio, Kentucky, Tennessee, Alabama, Mississippi, Georgia, North Carolina, Virginia, West Virginia and New York during an 18-hour period. 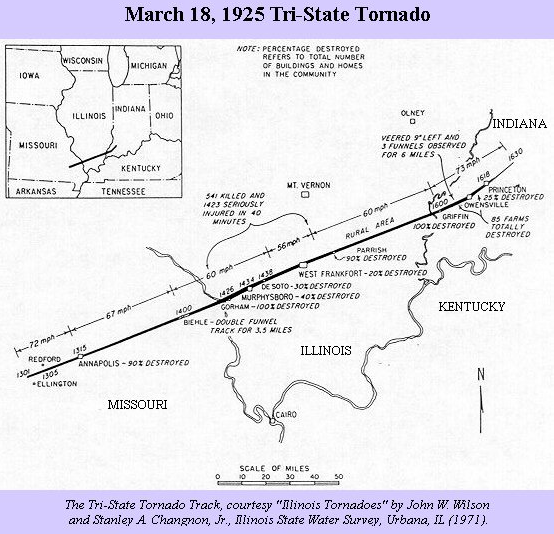 The path length of the twisters measured 2,600 miles. Fatalities numbered 319 with 5,484 injuries. Of the 148 tornados, 7 were classified as F-5, 23 as F-4, 35 as F-3, 31 as F-2, 37 as F-1 and 15 as F-0. The storms began in Morris, Illinois early in the afternoon. As the storm system moved to the east, the tornados became more intense. An F-4 tornado hit Monticello, Indiana raking a path 121 miles long – the longest length of any tornado in this system. At one point, the entire state of Indiana was under a tornado warning – the first and only time in history that has occurred. 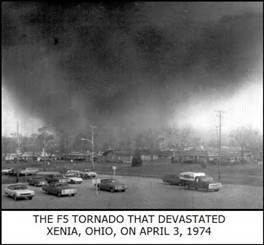 The first F-5 tornado was clocked at Xenia, Ohio just before 5 p.m. This was the deadliest tornado of the Super Outbreak of 1974. 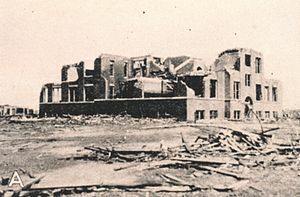 Thirty-four people were killed, another 1,150 were injured, and most of the town was destroyed; homes, businesses, apartment buildings, churches and the high school gone in a moment. 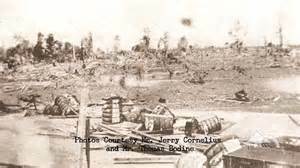 Entire subdivisions were wiped off the map, and gravestones were toppled in a local cemetery. 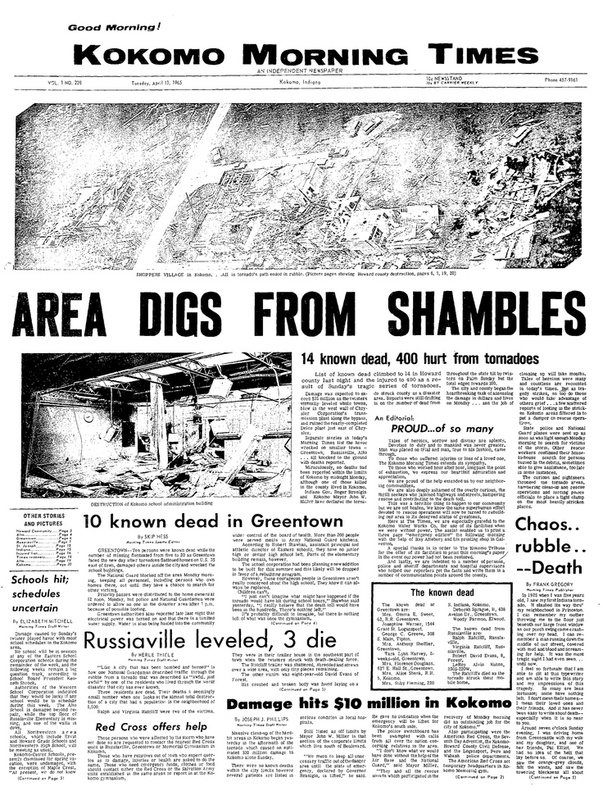 President Richard Nixon declared Xenia a disaster area. The only tornado outbreak worse than the 1974 outbreak occurred in this century on April 27, 2011. This day marks the deadliest tornado outbreak in the United States with 317 people killed and more than 2,200 injured. This Super Outbreak affected 21 states with the storm system spawning 363 tornados in a 24-hour period. Let’s hope the coming spring breaks the record for the least number of tornados. 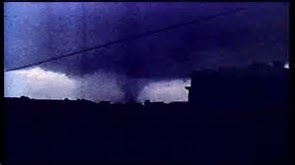 *The Fujita scale was developed in 1971 and is used to rate a tornado’s intensity, path length, width, and wind speeds.